The Secret World director, Ragnar Tornquist, talks subscriptions and the seeming inevitability of the free-to-play model. While Ragnar Tornquist believes his recently released MMO, The Secret World, will inevitably end up free-to-play, he maintains the market isn't yet ready to abandon the subscription model altogether. "Of course [having Conan go free-to-play] has taught us a lot. 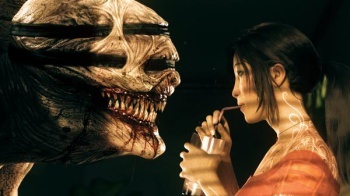 Five years from now, ten years from now, will Secret World be free-to-play? I'm sure of it," he told RockPaperShotgun. That's no doubt reassuring news to those of you who purchased a lifetime subscription to the game. "But that's a long time. For the time being, we're committed to this business model, and as long as people are willing to pay us in order to provide them with expanded content and ongoing content, we'll keep that business model. "It is the only business model that makes sense in terms of giving players this living, breathing world and this constantly upgraded, expanded experience," he added. Funcom's Age of Conan: Hyborian Adventures switched over to a F2P, microtransaction-driven business model in May of 2011, some three years after its original release. Though scrapping subscriptions often proves profitable - Conan's revenue doubled following the switch - many see it as a sign of failure, a tacit admission that the title can't compete in the subscription market. As the subscription phase of the average MMO's lifespan grows ever shorter, many are questioning whether the model is sustainable, regardless of any given game's quality. While Tornquist argues in favor of subscriptions, he admits he doesn't know if they'll be around in five years' time. "But it wasn't right for us to come out and be a free-to-play game, because then we would have to find other ways to support the ongoing content," he continued. "Whether it would be DLC and charging people for that, or an item store and charging people for that, [I can't say]. At any rate, people are going to have to pay more in order to support the ongoing development. I think that at least for me and at least for traditional MMO players, a subscription fee is something they understand." It's worth noting that The Secret World features both a subscription fee and a cosmetic item cash shop.